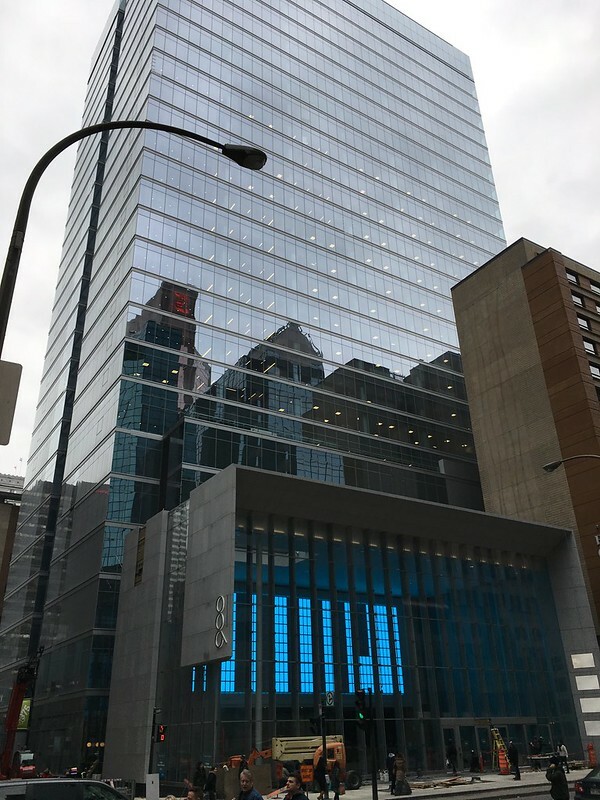 Compared to the old building, the new Manulife building is a work of art. À comparer à l'ancien édifice, le nouvel édifice Manuvie est une œuvre d'art. This building proves that when you hire a quality architect you can still create a quality structure. Unfortunately, buildings like this one are few and far between.